The Days of Johann, an agility dog! 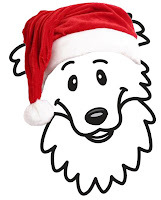 : Day 2 - Johann's Annual Howling Howliday Giveaway! 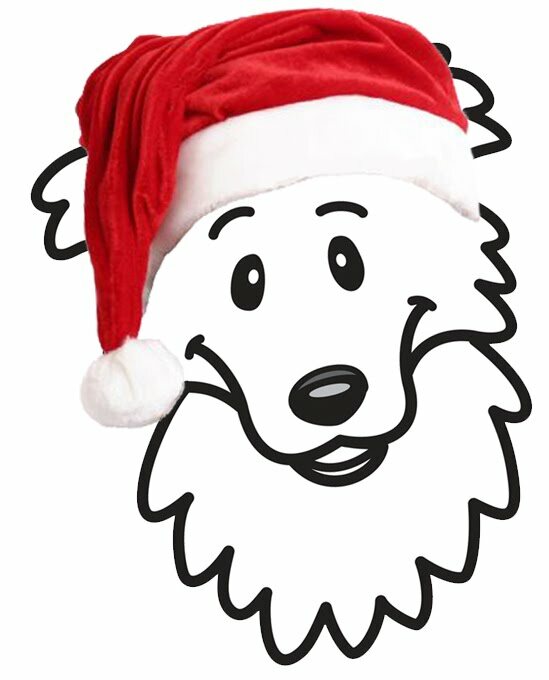 Day 2 - Johann's Annual Howling Howliday Giveaway! Wow, we're into the second day already! Thanks to everyone who entered yesterday, we'll be updating the post to announce the winner very soon. Today is the second day of Johann's Annual Howling Howliday Giveaway! And we have some great prizes for you today! Don't furget, we'll be bringing you giveaways every weekday from thru December 24th! So be sure and check back every day! We have two contributors again today who have donated some pawsome prizes for our winner. Best Bully Sticks is generously donating a $25 Gift Certificate for a fun and yummy holiday shopping experience! 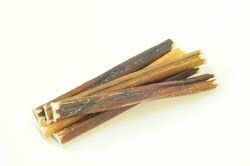 Bully Sticks are their specialty and come from free range, grass fed bulls, and you know how much we like healthy! Take a moment to go and check out there site! They have tons of other yummies for us dogs too - from dog chews and treats to, oh so chewable, bones. And they carry some pawsome toys and other dog gear and supplies, like grooming items, beds, bowls and lots more. Best Bully's is 'big' on quality, feature organic, healthy and Made in the USA items. Our other contributor today is Mountain Dog. Mountain Dog specializes in 'The Original Earth Friendly Dog Leash', handmade in the U.S.A. from post-consumer recycled climbing rope, making their leashes the most comfortable, strongest, greenest and longest lasting leashes on the planet! And you know how much we love green stuff! Mountain Dog is generously donating one each of their Original Clip Lead, Super Slip Lead & one of their new Amazing Versatile Leashes. 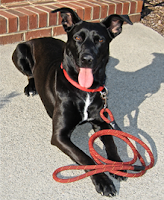 The Amazing Versatile Leash is the most adaptable leash on the planet. It's adjustable to any length between 7' and 3'-9" and has a clip at either end that can be used like a standard clip leash or a hands-free lead. And if that wasn't enough, this leash can also be used as a temporary tether and for walking two dogs a the same time. Very cool! Hop, or I should say trot :), on over to the widget in our sidebar, or click here and donate whatever you can spare, whether it be $25, $15, $10, $5, even $1 would be of great help! 1. Go to Best Bully Sticks Facebook page and 'like' them. 2. Go to Best Bully Sticks Twitter page and 'add' them. 3. Go to Mountain Dog's Facebook page and 'like' them. 4. Go to Mountain Dog's Twitter page and 'add' them. 5. Then come back to this blog post and leave your name and email address (can't win without it!) in the comments and let us know you followed all the instructions; 1-4 that we outlined above. If you feel uncomfy leaving your email addy in the blog post you can email it to me directly. That's it, now go get started...you have until 11:59 PM ET tonight (December 2, 2010)! For all the fine print rules, click here. Contest is open to all US residents, 18 years or older in the 48 contiguous US states. EDIT: Dec. 3, 2010 - We have a winner!!! Our handy dandy randomizer on the side of my blog pawed out a winner for yesterday's Giveaway! Pam O'Day who submitted her entry to me via email is the winner of the great prizes from Best Bully's and Mountain Dog. Congratulations Pam, we know you're pack will love their goodies! "5. Then come back to this blog post and leave your name and email address (can't win without it!) in the comments and let us know you followed all the instructions; 1-4 that we outlined above. If you feel uncomfy leaving your email addy in the blog post you can email it to me directly." The PM2 Dog Agility Team Liked and hope to win! Hi! Great blog here and I've also visited and signed to follow on twitter and facebook. Feel free to follow my blog, too! I have a question - what about the people who don't have a Twitter account? I really want to participate, but I don't want to have a whole OTHER account to be responsible for. Will I be ineligible for all the prizes? Keep watch Layla and Twix, a lot of days entries relate to FB and Twitter, but not all the days! We've got some special things for those that don't FB and Twitter too! Promise! And thank you for your nice comments!